Special Pricing On ALL Covers...Must Call Number Below!! WE WILL BEAT ANY PRICE QUOTE! The Vortrak retractable truck bed cover by BAK is a heavy-duty flush mount tonneau cover that provides a sleek, low profile look with a stylish matte black finish that is combined with strength and security. The Vortrak is constructed of ½" thick aluminum slats interlinked together to provide a rigid surface that easily glides along heavy-duty aluminum rails that mount flush with the truck bed caps, providing a sleek, low-profile look. When fully retracted, the system neatly stows into a space-saving, spring-loaded canister, and can be pulled out quickly and easily with the included strap. All-New Designs! The ROLLING Tonneau Revolution began with the BAK Revolver X2 Hard Rolling Cover, and it moves forward even further with the Revolver X4 which provides a Premium Matte (Black) Finish! Both covers provide the convenience of a retractable cover without the need of a space taking canister in your truck bed! Instead, this new breed of cover manually rolls ON TOP OF THE TRUCK RAILS! The beauty of this cover is that it offers tough all-alluminum security, with an mechanical locking for top-notch security, and a flush “no profile” design. The Revolver X2 and Revolver X4 have exclusive automatic rotational locking rails that secure the cover the entire length of the bed on each side! This hard aluminum roll-up cover requires no heavy lifting of panels like a folding cover and easily rolls up with a one-handed operation making it a great choice for lifted trucks. The BakFlip CS (Contractor Series) provides our award winning BAKFlip Tonneau Cover with a sliding rack system is the absolute perfect product for contractors, sports enthusiasts. or anyone looking for a tonneau cover and a rack at the same time to maximize your hauling ability. 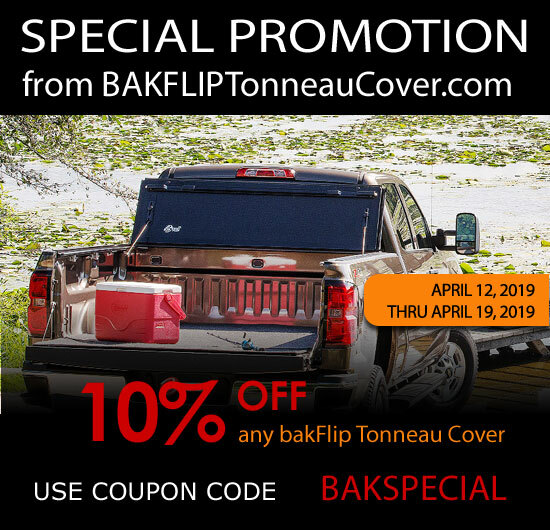 Whether you're a plumber or a surfer, an electrician or a kayaker, the BakFlip CS is designed to give you the ultimate functionality and security of the top selling BAKFlip Tonnneau Cover with a tough, fully-integrated rack system.